AppleStoZen: What FATS are GOOD to EAT? What if a critical secret to improving your health was to increase your intake of FAT? The trend in the 1980s was to cut out ALL fat from your diet. Fat consumption has been at the center of nutrition confusion for decades. You’ve been told that all fats are bad, that they increase your chances of heart disease, that they cause cancer and promote weight gain and obesity. This is simply not true. In fact, eating the right fats has been proven to reduce the inflammation associated with artery disease, normalize blood cholesterol, reduce multiple forms of cancer, and actually combat obesity. It may seem terribly counter intuitive, the intake of the right fats can actually be one of the best health strategies you could ever adopt. Fats are commonly categorized as either “good fats” or “bad fats.” They could be more accurately designated as either “great fats” or “terrible fats”. All trans-fats and all hydrogenated oils are considered “terrible fats” (coconut oil is an exception when it comes to saturated fats). These fats have been shown to promote the inflammation associated with heart disease, as well as directly linked to many types of cancers. “Great fats” like polyunsaturated and monounsaturated fats are essential nutrients that reverse the damage created by these “terrible fats,” as well as performing a critical role in countless physiological functions. 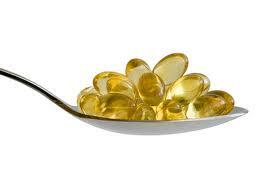 Omega-3 Fatty Acids are widely considered to be one of the most vital nutrients in regards to healthy cell function. They are instrumental in almost every organ and tissue, including the heart, skin, eyes and brain. Deficiencies in Omega-3’s have been linked to breast, colon and prostate cancers, heart disease, high blood pressure, high cholesterol and strokes, diabetes, arthritis, digestive disorders, vision problems, dementia, hormonal and reproductive problems as well as osteoporosis, Alzheimer’s and depression. Omega 3 deficiencies have also been shown to be a causal factor in development and behavioral issues with children – even ADD and ADHD. DHA Omega 3 is one of the most critical elements in human breast milk. What to do: Eat mid-sized, cold water, wild fish this is a best practice that will provide a great source of Omega 3’s. Avoid farm-raised fish - they have inferior fatty acid profiles and impact the environment negatively. Also, eat grass-fed beef, wild game and free range-fed chickens and eggs. These are the foods that your ancestors ate. Nuts, seeds and avocados are also excellent sources of healthy fats. Unfortunately, Omega-3 FA deficiency is extremely common. Our diets are terribly low in this vital nutrient. To make matters worse, we over-consume Omega-6 Fatty Acids, upsetting the delicate balance in the very important Omega-6 FA: Omega-3 FA ratio. This imbalance creates silent inflammation in the body which leads to a litany of chronic disease issues. A ratio higher than 3/1 Omega 6 FA: to Omega 3FA sets the stage for chronic illness. Many people with ADHD and depression have been shown to have an elevated ratio as high as 40/1. Our over-consumption of vegetable oils, combined with our consumption of processed grains and cereal grains, both of which are high in Omega 6 Fatty Acids contributes to this imbalance. A diet high in grains (breads, pastas, baked goods and cereals) is considered highly pro-inflammatory. In other words, grains promote inflammation in your body and should be reduced or avoided. Unfortunately, the food pyramid has promoted a diet-style that has led to the greatest instances of heart disease, diabetes and obesity that the world has ever seen. It is difficult to consume sufficient amounts of Omega 3’s to re-balance and maintain a healthy fatty acid ratio. Additionally, the oceans have been polluted so dramatically that many fish are too toxic to safely consume. A vital behavior to ensure fatty acid sufficiency is to supplement with a high quality fish oil source. The oil should be pharmaceutical grade, pure and in natural EPA/DHA forms and ratios. Remember that the FDA does not regulate vitamins so getting your Omega-3 supplementation from a trusted source is critical. If the thought of consuming fish oil every day causes you to wrinkle your nose, just think of the sweeping health benefits you’ll receive. If that doesn’t work, you can always go back to eating the brains, organ meats and bone marrow that your ancestors enjoyed. Visit Chiropractic-usa.com for more information about or community office and the supplements we carry!